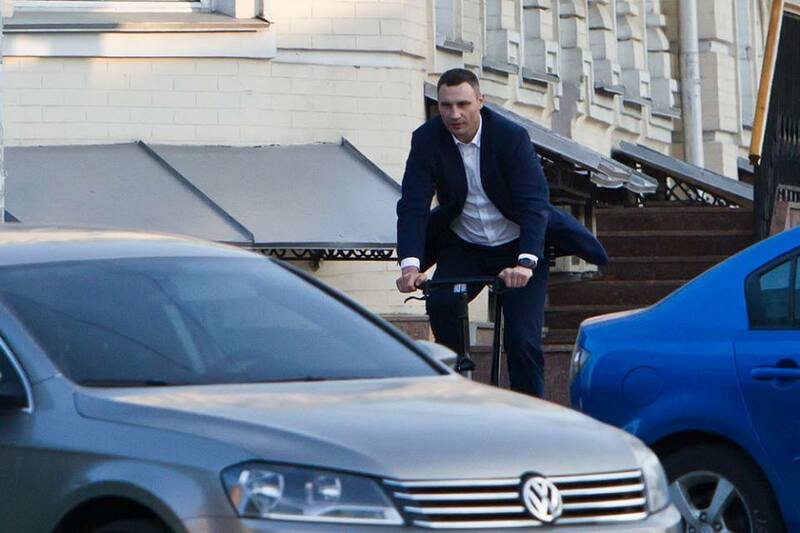 Vitali Klitschko, Kyiv Mayor and a former professional boxer was seen today riding his bicycle to work. He has uploaded Facebook photos of his trip through the busy central streets of the city, according to Ukraine Today. "I have been riding the bike for several days now. First of all, it's easy and allows you to avoid tough road traffic. Also, it's good for health", posted Klitschko on Facebook, Ukraine Today reported. 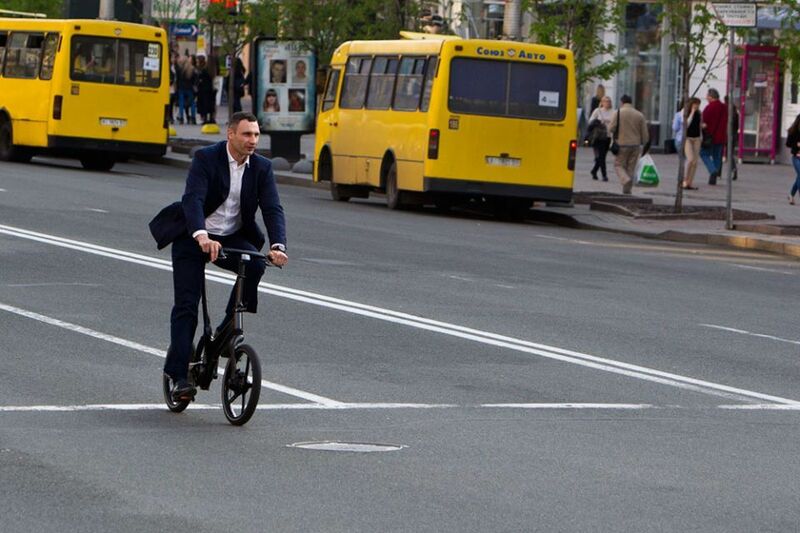 According to the Mayor, some car drivers make it difficult for bikers to navigate in Kyiv. He even has to "instruct them on the rules of the road right away". "Not every driver is nice toward the people on bicycles. 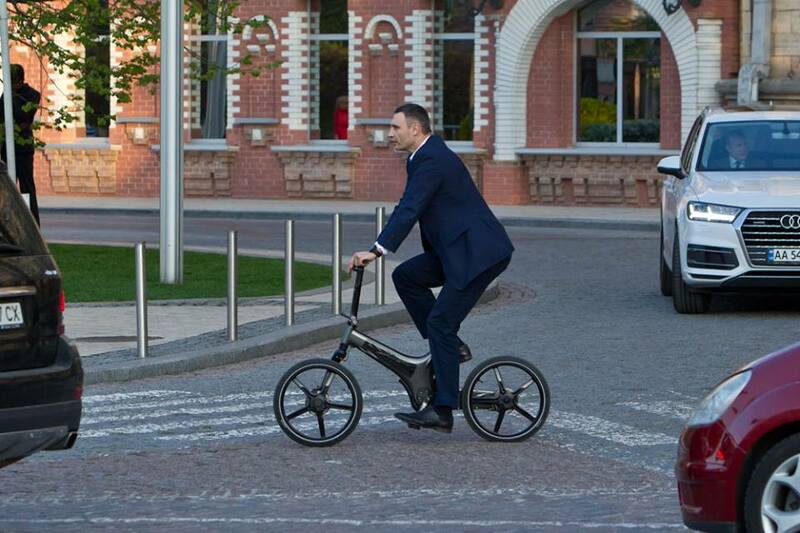 I also understand that Kyiv lacks designated lanes for bikers," says Klitschko promising to solve this problem in the future. Read alsoKyiv residents claim Klitschko is breaking promises by allowing construction on lakeThe photos of the city mayor caused ambivalent reactions from the locals. Some of them call Klitschko an example for other politicians. Others claim "his activity is cheap PR." They ask the Mayor to take his bike to the city outskirts to see "if it can survive the horrible roads." April is marked as a world flash mob called "30 days of biking". Its purpose is to promote this ecological and healthy way of transportation. Many Ukrainian citizens and politicians have decided to contribute to this goal.